I don’t know whether you'd heard, but a new theme park ride-based pirate movie opened this weekend. Being that I rather enjoyed the prior two theme park ride-based pirate movies, Mrs. BoozeMovies and I decided to check out the new one on opening weekend. 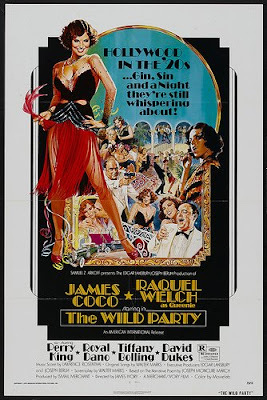 Although there was considerably less rum in this flick versus the first two (they run out of liquor about an hour into the film), it was still a rollicking good time. 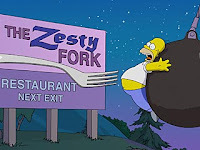 Most critics have complained about the film’s length and complex plot, and while they are probably right on both counts, neither issue bothered me at all. I love the universe that Gore Verbinski has created with this series--combining pirate lore and multiple oceanic mythologies--so for me, the longer the better. Also, as tangled as the plot became, I never found the story or character motivations confusing. Of course, I’ve always preferred films that require the audience to pay attention. I’ll agree that the movie is nowhere near perfect. (MILD SPOILER AHEAD) I could have done without that multiple Jack Sparrows. It's great fun to watch Jack playing off more sober-minded characters. Seeing Jack play against himself diminishes the character rather than expanding upon it. Also, Pintel and Ragetti, the comedy-relief pirates played by Lee Arenberg and McKenzie Crook, had begun growing tiresome in the second film, and they grow more so here. 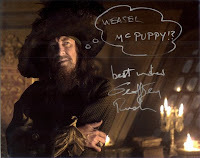 Still, these small negatives are far outweighed by the return of Geoffrey Rush to the series as Captain Barbossa. Rush steals the film with his joyful, scenery-chewing performance and Robert Newton-ish line readings. All in all, I really enjoyed my third trek into piratical waters, and I found the film to be a fitting capper to the most fun movie franchise since Indiana Jones. Once the third film makes its’ way to DVD, I’ll revisit the entire series and post the official rum-soaked reviews. It is a task I look forward to undertaking. 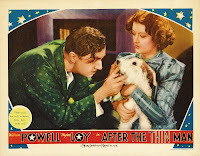 Two years after The Thin Man provided MGM with a box office bonanza, William Powell and Myrna Loy returned to the roles of Nick and Nora Charles in the aptly named After the Thin Man. Metro’s patience in producing a follow-up to the 1934 film was a deviation from Hollywood’s standard practice of rushing out sequels at a rate of two or three a year to capitalize on a hit, and the extra attention to quality is evident in every frame. 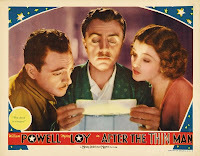 While After the Thin Man can’t quite match the giddy wit and elegance of the original, it comes intoxicatingly close--sparkling with a luminescence that few sequels can match. The story picks up where the first film left off. Nick, Nora, and Asta return home after successfully solving the “Thin Man” case, exhausted and nearly out of liquor. Unfortunately, there’s no rest for the wasted. As soon as the couple arrives at their estate, they are forced to attend a dinner party with Nora’s stuffy relatives, where they once again find themselves embroiled in a mystery. The sequel does surpass the original in one facet--Nick and Nora receive more screen time. This is a very good thing, because the Thin Man movies tend to drag during the non-comedic scenes that set up the mysteries. Unfortunately, although the couple still do a good deal of imbibing, the drinking is relegated to the background; as opposed to the first film, in which Nick’s superhuman thirst was his central character trait. The film also suffers from an atrociously bad supporting performance by Elissa Landi as the film’s overwrought heroine. It’s a shame she doesn’t end up as the murder victim. Still, the positives far outweigh the negatives. 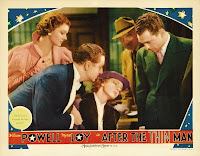 After the Thin Man is a fast, funny romp; and Powell and Loy are in fine comic form as filmdom’s favorite soused spouses. Potent Quotables--NORA: Are you packing dear? NICK (drinking a martini): Hmm… Yes, darling. I’m just putting away this liquor. 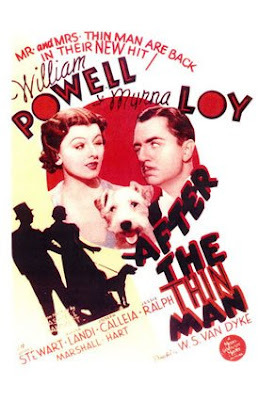 Video Availability--After the Thin Man is available as a solo DVD or as part of The Complete Thin Man Collection (The Thin Man / After the Thin Man / Another Thin Man / Shadow of the Thin Man / The Thin Man Goes Home / Song of the Thin Man). Similarly Sauced Cinema--Nick and Nora next appeared in Another Thin Man (1939). 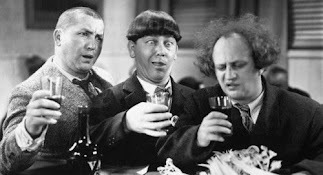 Stan Laurel and Oliver Hardy get blotto without actually consuming any alcohol in this 1930 comedy short. The unlikely predicament transpires when Stan and Ollie devise a scheme to attend the opening of a nightclub under the nose of Mr. Laurel’s shrewish wife. Not only must they sneak Stanley out of the house; they must also swipe a bottle of booze that Mrs. Laurel has been hiding since the start of prohibition (being that hooch is hard to come by). What the boys don’t know is that Mrs. Laurel has overheard their plans and has replaced the scarce joy juice with a mixture of cold tea and condiments (pepper, hot sauce, and other items to give the cocktail the proper kick). 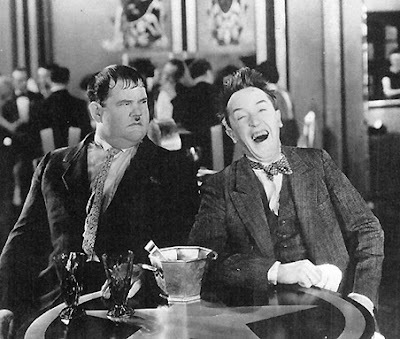 Stan and Ollie manage to sneak the illicit bottle into the club and get giddy on the phony giggle water. That is, until Mrs. Laurel shows up with a loaded shotgun. Although Laurel and Hardy were the best-loved comic duo of their day (and the only popular comedians to transition effortlessly from silent films to sound), their comedies have not aged as well as the work of most of their contemporaries. Looking at their work today, the pacing seems a tad slow and the slapstick seems a bit mild. However, once one has acclimated oneself to the pace, their films are undeniably funny, and Blotto is no exception. Hardy’s facial expressions when he first tastes the bogus booze had me falling on the floor, and his follow-up line, “You can certainly tell good liquor when you taste it,” is priceless. By the way, if the premise sounds at all familiar, Jackie Gleason and his writers stole the concept and many of the gags for the Honeymooners episode in which Kramden and Norton get plowed on grape juice. 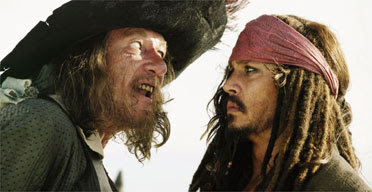 Potent Quotables--MR. HARDY: Oh say, do you know where we can get a bottle? MR. LAUREL: Yeah. My wife’s got one. She’s been saving it since prohibition. MR. HARDY: Won’t she miss it? MR. LAUREL: No. I’ll blame it on the ice man. Video Availability--You can find the short on DVD in the United Kingdom, Germany, and Holland, but it is unavailable in the U.S. 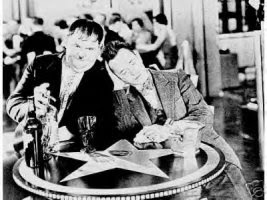 Similarly Sauced Cinema--Laurel and Hardy also imbibe (on actual alcohol) in a number of their films including Early to Bed (1928), The Devil’s Brother (1933), Them Thar Hills (1934), The Bohemian Girl (1936), Our Relations (1936), and Swiss Miss (1938). 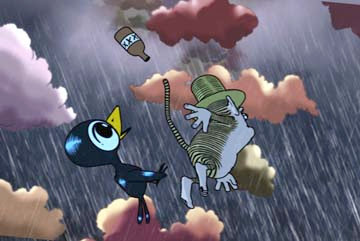 Don't forget the pilot for The Drinky Crow Show premieres Sunday night during Cartoon Network’s Adult Swim block (11:45 pm EST to be exact). However, why not watch it now? The pilot can currently be viewed on adultswim.com along with several other pilots. Their site also contains a viewer poll, so once you’ve watched the show, be sure to vote for our favorite feathered swillbelly. The more votes he gets, the better chance Cartoon Network will greenlight the series. Dook dook! I haven’t had a chance to watch a liquor-centric film for a few days, so in lieu of a review, here is a calendar of upcoming flicks hitting the big screen this summer that have the potential for significant alky content. Copious quantities of home brew and precarious heights combine to make Harold Lloyd high and dizzy in this classic comedy short. Set at the beginning of prohibition (or as the title card refers to it, “That never to be forgotten period when cloves, corkscrews, and foot-rails went out of fashion,”) High and Dizzy is a great example of silent slapstick at its most soused. Lloyd portrays a young doctor with a failing practice who falls in love with the first patient to frequent his office, a young woman suffering from sleepwalking disorder. Her father doesn’t appreciate the doc’s advances toward his daughter, so Lloyd quickly loses his patient. However, the physician doesn’t have long to dwell on his loss, because he’s pulled into a neighboring office by his friend, an enterprising alky who is anxious to show off his home brewing kit and hand-bottled beer. When the beer bottles begin to explode, the boys save the brew in the only way they know how--drinking the lot. High on giggle water, the pair cut a path of mayhem and destruction through town, eventually leading to Lloyd catching up with his somnambulistic sweetie and taking an unintended walk on the ledge of a high-rise hotel. 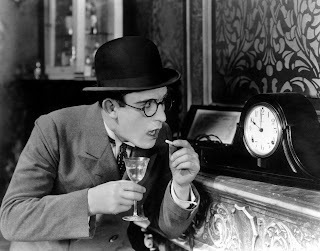 Today, if Harold Lloyd is remembered at all, it is for the image of the bespectacled comedian hanging from the face of a clock several stories above the ground. In truth, only a handful of Lloyd’s dozens of movies were acrophobic thrill comedies, but those particular films are remembered for good reason. The real human stunt work adds an extra dimension to Lloyd’s already clever humor (in the same way that one can’t help but be impressed with Buster Keaton’s superhuman acrobatic skills). Adding alcohol to the mix just adds a little extra kick to the brew. Similarly Sauced Cinema--In his last feature film, The Sin of Harold Diddlebock (1947), Harold Lloyd plays a bookkeeper who takes his first drink and wakes up two days later to discover he’s bought a circus.